During the course of his 20-year culinary career, Chef Andrew Copley has satisfied some of the most discriminating taste buds at five-star locations all over the world. 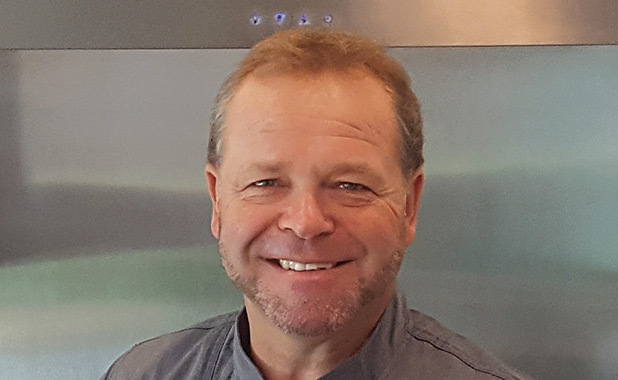 Upon earning a degree at Westminster Culinary College in London, he gained experience at the world-renowned Savoy and Park Lane hotels and proceeded to tour the globe as he acquired prestigious culinary positions and numerous “best of” honors at a number of top establishments. Following his time in London, Copley was recruited by the Grand Hyatt on the Sunshine Coast in Australia, which received the Petrees Award for No. 1 restaurant in the state during the three consecutive years he was commissioned there. He then jetted to the U.S. to join The Ritz-Carlton in Maui followed by The Ritz-Carlton in San Francisco, which was awarded the honor of No. 1 formal dining room during his tenure. Copley then made his way back to Hawaii as executive chef of the Lodge at Koele, where his refined creations helped earn them the title of No. 1 restaurant in Hawaii for three straight years. Copley ultimately settled in Palm Springs where, in 2004, he realized his dream of opening his own restaurant: Copley’s on Palm Canyon. He has been called an “emerging chef” by The New York Times and is a contributor to various media outlets, including the Restaurant Hospitality website, Rachael Ray Every Day magazine, and NBC. His latest project, a collaboration with Trio owner Tony Marchese, is AC3 Restaurant + Bar in Palm Desert, which is expected to open in February 2018.